Get a load of this Lone Star Western Decor exclusive! 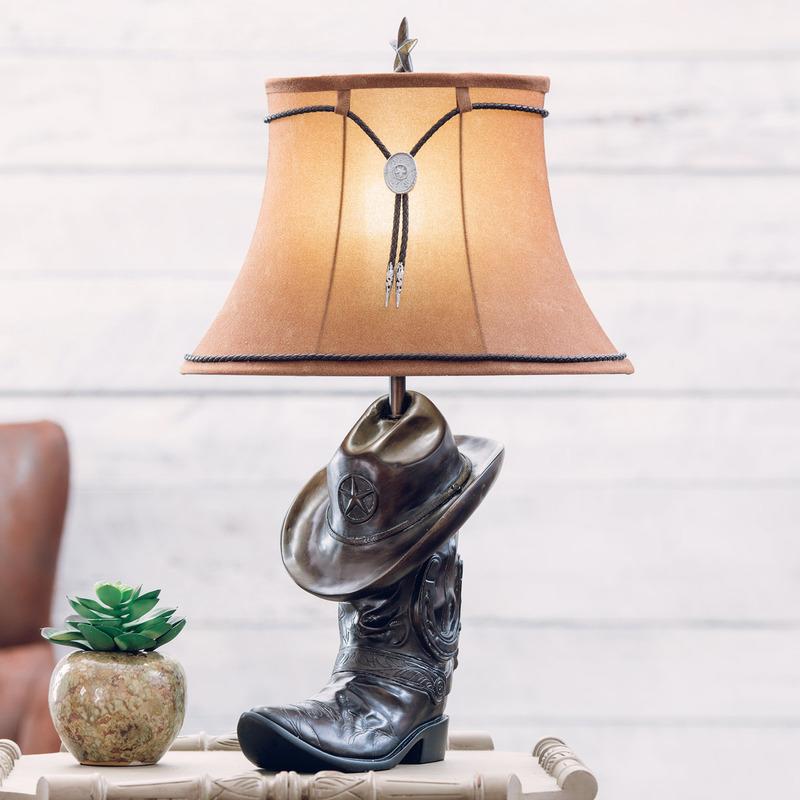 This resin sculpture table lamp boasts plenty of western detail with a star finial and bolo tie accent on a faux suede shade . These rustic lamps use one 60-watt max bulb. 26 1/2"H. For many more offerings, we ask you to take the time to explore our full variety of rustic lamps at Lone Star Western Decor today.